These field mountable connectors can be used with our M8 RTD, M12 RTD or M8 & M12 Thermocouple extension cables. 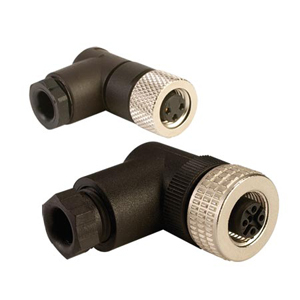 The M12 connectors feature convinient screw terminal style pins or sockets eliminating the need for solder connections in the field. The M8 connectors feature solder-cup style connections due to the limited space available. M12 Connectors Have Screw Connections for Wire Attachment.